I’m afraid that I never got round to posting yesterday but it was “one of those days” and I just could not get myself in the mood for anything. 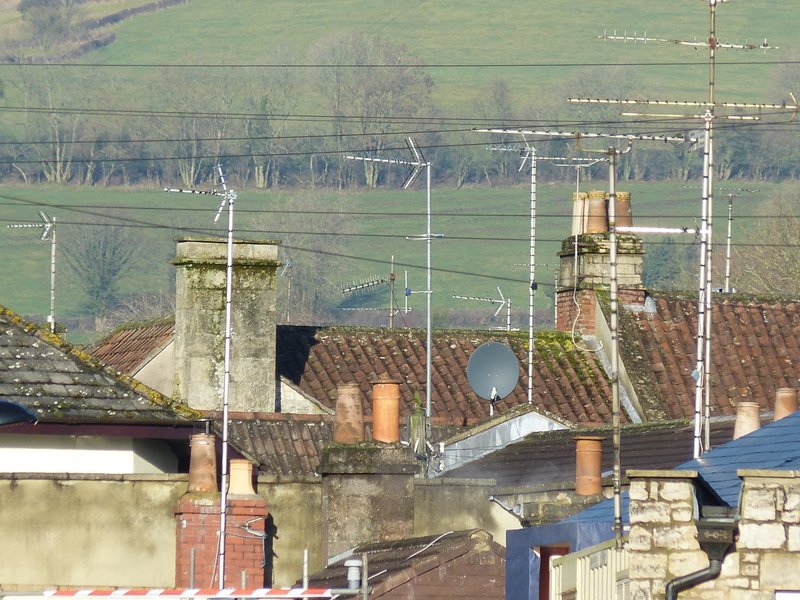 However I did get one shot that I thought was quite interesting, looking down our road with a mixture of roofs, wires, aerials and into the fields beyond. Frankly I’m just looking forward to when it will be dry enough to get out into those fields again!